You&apos;ve Picked Out a Shoe— Is It the Right One? The variety of hiking boots and hiking shoes has exploded in the past decade as designs become increasingly specialized and borrow from other categories like trail running shoes and approach shoes. The good news is that there are more choices than ever, but that also makes the selection process more difficult and confusing. Many people cope with this overwhelming variety by finding a shoe that they like, and then sticking with that same model year after year. But perhaps you are curious about the new shoes out there, or, horror of horrors, perhaps your go-to shoe has been discontinued. Here&apos;s a guide that outlines your choices and helps you narrow down the selection a little. First, you’ll want to settle on a category: hiking shoe, hiking boot, or backpacking boot? Your primary intended use will dictate which category you choose. Within this category, you&apos;ll find shoes that are generally composed of textile with leather, suede, or synthetic overlays that provide a support structure and add abrasion-resistance. 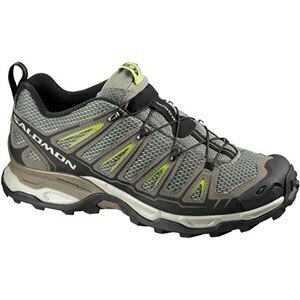 You will notice that some look a lot like trail running shoes, while others look like (or actually are) simply low-cut versions of more traditional hiking boots. The former tend to be lighter and more flexible, which allows you to move quickly, but you&apos;ll be sacrificing some support and protection. Aside from intended use, another important question to ask is what kind of weather you will be using the shoes in. If your use will be mostly in the summer, or primarily in dry, warm weather, a well-ventilated, lightweight shoe with a lot of mesh in the upper will allow your foot to breathe best. On the other hand, if you anticipate using your shoes in damp or cold weather, waterproof hiking shoes might be your best option. They&apos;re going to be more forgiving of rainy days and snowy or muddy conditions, although you will pay the price with slightly higher weight (really only a matter of a couple of ounces) and less breathability in warm temperatures. These hiking shoes and boots have a PU membrane sandwiched between the outer layer and the lining that keeps out moisture but still allows water vapor you generate to escape so your socks aren&apos;t soaked through with sweat. These shoes will usually include ‛GTX’ in their title, which indicates that they include the same Gore-Tex® technology you might find in your ski or rain jacket. &apos;Outdry®&apos; and &apos;eVent®&apos; are other well-known waterproof breathable alternatives; look for those in the titles, or simply &apos;WP&apos;® or &apos; Waterproof®&apos;, both of which indicate that the shoes feature the manufacturer&apos;s proprietary waterproofing system. 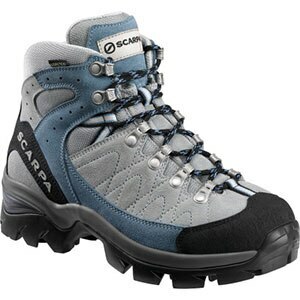 Like hiking shoes, you&apos;ll find most hiking boots are generally composed of textile with leather, suede, or synthetic overlays, although overall, the proportion of textile to other materials is lower to provide more support and protection. All-leather options are available as well, and you&apos;ll find that toe bumpers and protective rands (full or partial) are more common. A higher proportion of boots in this category are waterproof as well, reflecting the fact that you&apos;re likely to be out in these on multi-day trips with variable weather, or even extending their use to four seasons by strapping on some snowshoes. Long, multi-day treks carrying heavy loads are going to call for backpacking boots. They are tough and able to cope with all kinds of terrain and weather conditions. They’re taller and stiffer than hiking boots, which means they offer more support and surer footing, and backpacking boots have thicker, more aggressive outsoles and more protection all around. Often they will feature accommodations for crampons or snowshoes. The tradeoff for this performance is going to be a higher weight, so you might want to carefully consider how you would be using these boots, and select accordingly. Of course, if you have big ambitions for the future, there&apos;s no harm in going with a backpacking boot you can grow into; just keep in mind that you&apos;re not going to fly through a day hike like you would in a hiking shoe. 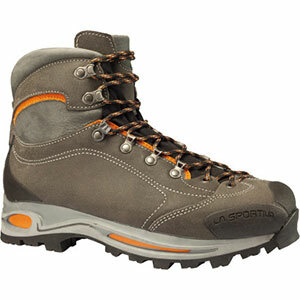 Unlike most hiking shoes and many hiking boots, backpacking boots often need a break-in period. Waiting until the week before your departure on an Appalachian Trail through-hike to pick out new boots is a recipe for disaster; most experts recommend at least two weeks of constant wear to ensure you don&apos;t end up with bloody, raw feet two days into your big trip. Mountaineering boots are designed for use in extreme conditions and alpine environments, and their construction reflects that: taller, stiffer (for use with crampons), impermeable shells, insulation, removable liners. Unless you&apos;re going to be ice climbing, crossing glaciers, or trekking in winter conditions, these are going to be far more boot than you need. 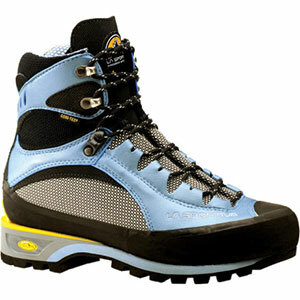 Approach shoes are hybrids of hiking shoes and climbing shoes and are traditionally used by climbers to get up and over rocky terrain and to the climbing site (hence the name). They often include climbing-style lacing (lacing that extends down towards the toe for better control), protective rands, and &apos;sticky&apos; rubber on the soles for scrambling over rocks. 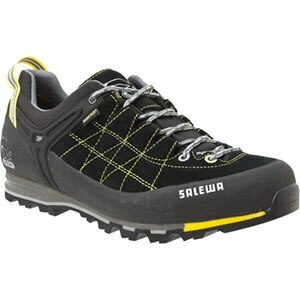 This sticky rubber is softer and less durable, so extended hiking will tend to wear the outsoles down pretty quickly. Many water shoes and performance sandals offer the support and protection you&apos;d need for side hikes during rafting trips or ventures into slot canyons. Look for adequate toe protection, a snug fit, and drainage capabilities. The outsoles will often feature a combination of sticky rubber for traction on wet rocks and harder rubber for better durability. Sometimes you just need more. It may be that just one shoe style won&apos;t meet all your needs. You may want to trek to your camping spot with backpacking boots and then switch to lighter-weight hiking shoes for short day hikes from base camp. Or you may get to the slot canyon in hiking shoes and then switch to a rugged technical sandal for venturing into waist-deep water. If your budget allows for it, go ahead and get two pairs. If your budget doesn’t allow for it, decide which type of hiking you’ll be doing most, start with that one, and save up for a second pair. When you put it on (don&apos;t forget to slip in your custom or specialized insole if you have one), you should feel plenty of space in the toe box. You should not feel squished on the sides of your forefoot, but shouldn&apos;t feel like you&apos;re swimming around in it, either. A good way to test the length of the shoe is to stand upright in unlaced shoes, and then slide your foot forward until it does touch the front. You should be able to comfortably slip your index finger in between your heel and the heel of the shoe. Once you have your shoe laced, the feel should be snug enough that, as you roll up onto your toe, you don&apos;t feel your foot sliding forward to touch the front of the boot; however, it shouldn&apos;t be so snug that it cuts off your circulation or causes hot spots. You should also not feel any heel lift or slip as you walk around. A loose fit here not only increases the risk of painful blisters but could lead to injury on rough terrain if your boot goes one way and your foot the other. Your choice of hiking socks will have a significant effect on your experience with the shoe. You no doubt are aware of the perils of Killer Cotton, but you may not realize that the synthetic fibers that work so well to keep you comfortable in your baselayers don&apos;t necessarily work that well in a sock. That&apos;s because the moisture may get wicked away from your foot, but it can&apos;t escape the confines of a hiking shoe very well, so you end up with a wet, blister-causing sock. Merino wool and wool blends are the materials of choice for savvy hikers due to their moisture-managing capabilities, odor-fighting properties, and comfort. Socks that incorporate a touch of spandex (Lycra) give you a close, wrinkle-free fit that is going to be less prone to chafing. Depending on the season and how much cushioning you like underfoot, you can choose from lightweight socks, midweight socks, or heavyweight hiking socks. 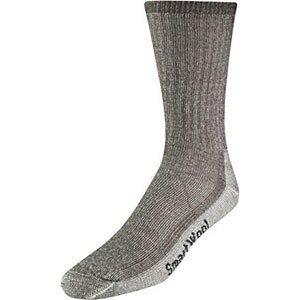 And perhaps buy two and bring a spare along; there&apos;s nothing like slipping on a pair of clean, dry socks to give hot, tired feet a new lease on life for the trip back to the trailhead.